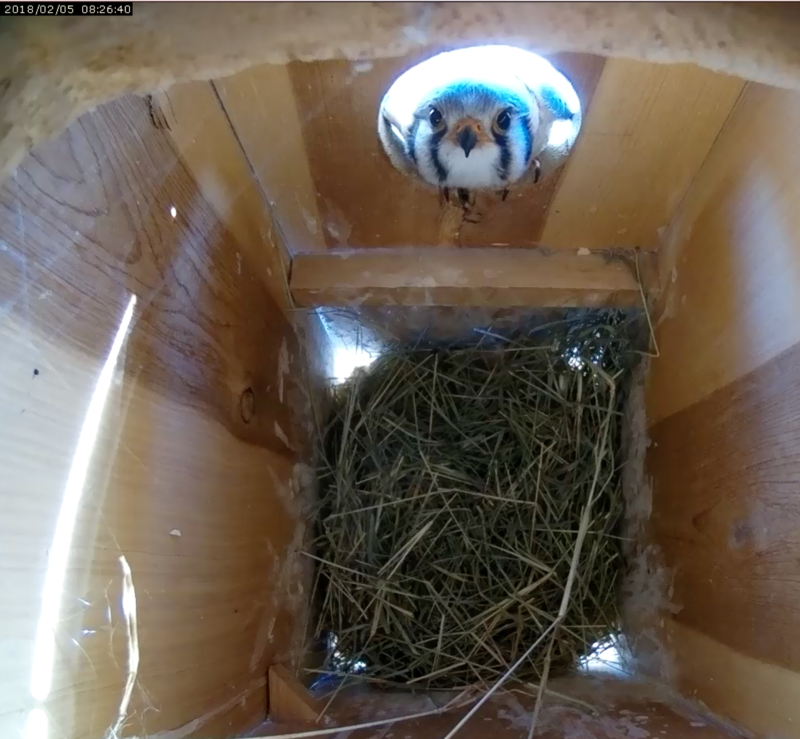 If you are a registered partner, please consider first asking the American Kestrel Partnership's Network for help! Providing access to the Partnership community's experience and expertise is one of the fundamental purposes of the Partner Network, so please use it. Hello everyone! When we first moved to our new house in July 2017 in Arraijan, Panama, the first bird we saw was a kestrel on our street. For the past several months, we have noted that there is a pair in the immediate area, and we put up a kestrel box in January. A month later on February 25, the pair came to investigate the box - they even copulated on the rooftop nearby in view of the box, which we took as a great sign that they liked it! They have been around every day since, the male brings lizards to the female every day and we are waiting for the female to start laying eggs. The nest box is in our backyard, and they are tolerant to the neighbors and the construction (it is a new subdivision). From my knowledge, if they nest in our box it will be the first successful AMKE nest box in Panama. The kestrels here are resident, and compared to the North American migratory population, there is not much known about their breeding ecology. 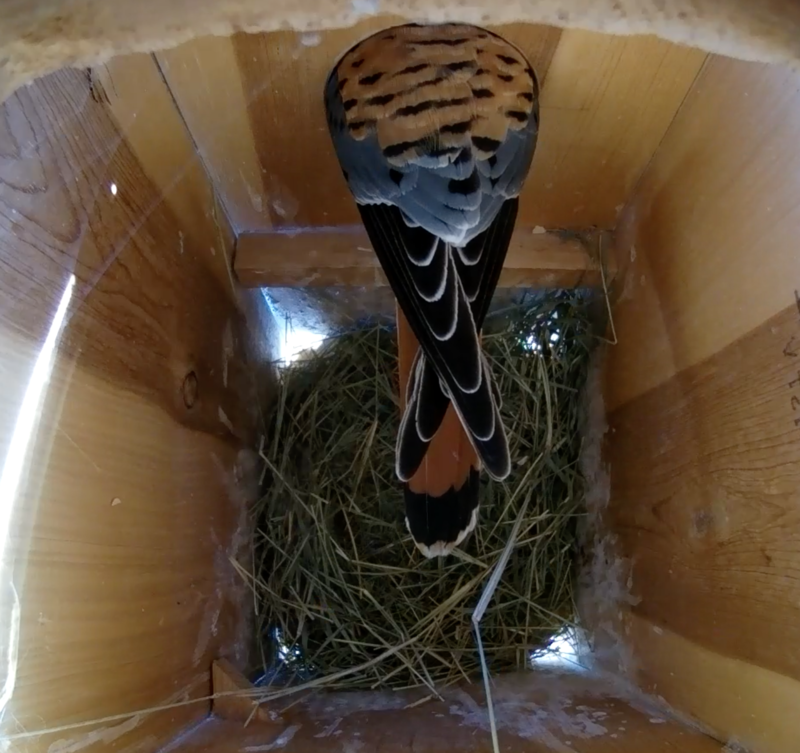 We have been recording their visits and behaviors since their first arrival at the box. We would like to put a nest camera inside the box as soon as possible, does anyone have any recommendations of a good camera? 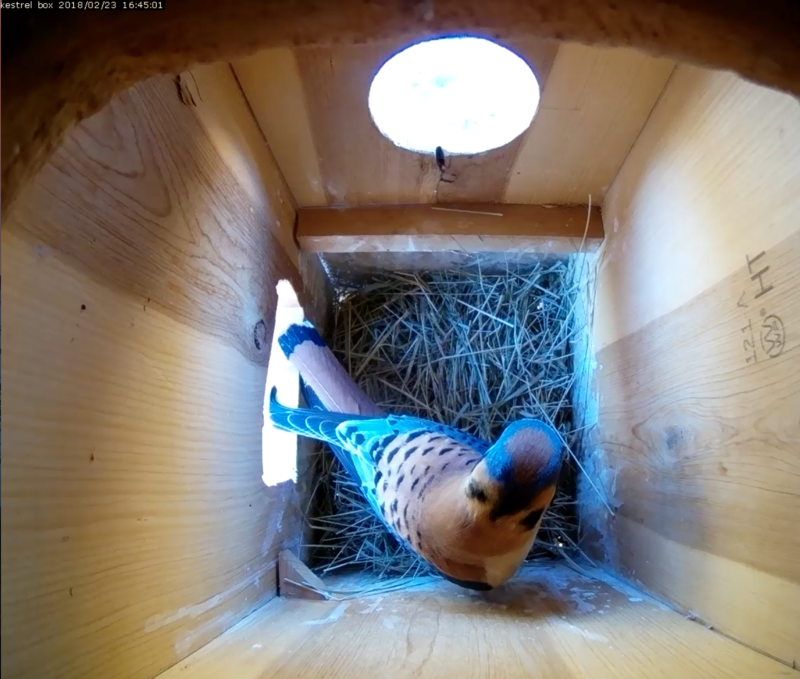 The nest box is in close proximity to the house and can pick up a WiFi connection. Any suggestions would be appreciated! We have had great luck with several vivotek models for bird surveillance. The one in our kestrel box was recommended when we started so it is a bit older now (roughly 3 years old): Vivotek FD8151V. The camera is very good at adapting to variable light conditions, but we decided we'd like to get more light down at the bottom where the hatchlings hang out. So this year we added a small window, as you'll see in the last photo of the samples I'm uploading for you. Good luck in your quest for a good camera! PS--One more thing to note. PS--One more thing to note. The camera that we are using is hard wired by category 6 (POE camera) but I'm sure that you may find camera that enables wireless connectivity. This is really great to hear! Posted in General Discussion by jdkestrelpanama 1 year 1 month ago.